"I’m at an age where this is a massive decision for me and I’m not going to rush into it but games like this show my commitment to the team and my mind is never away from it," he said, speaking to The Press & Journal. You can read the interview in full with Bowyer HERE, where he talks about observing training sessions at Newcastle, Tottenham and Wolves. Speaking to Plymouth Live, he said: "We have got a board meeting this month to discuss the budget and then once we have discussed the budget, it goes to the March board meeting to hopefully confirm and if it’s not that, it will hopefully be the April one to confirm what the budget is for next season. 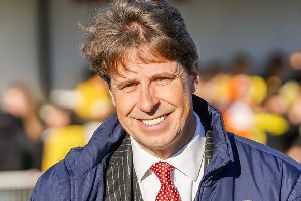 "I obviously can’t start talking to players until we know what the budget is going to be because the majority of my budget that was increased last year went on re-signing players that were already at the football club, so from that point of view, we can’t do anything until we find out what the playing budget is going to be for next season."